FMS has released a new version of the RE003 retract which was available March 2018 as a replacement retract. 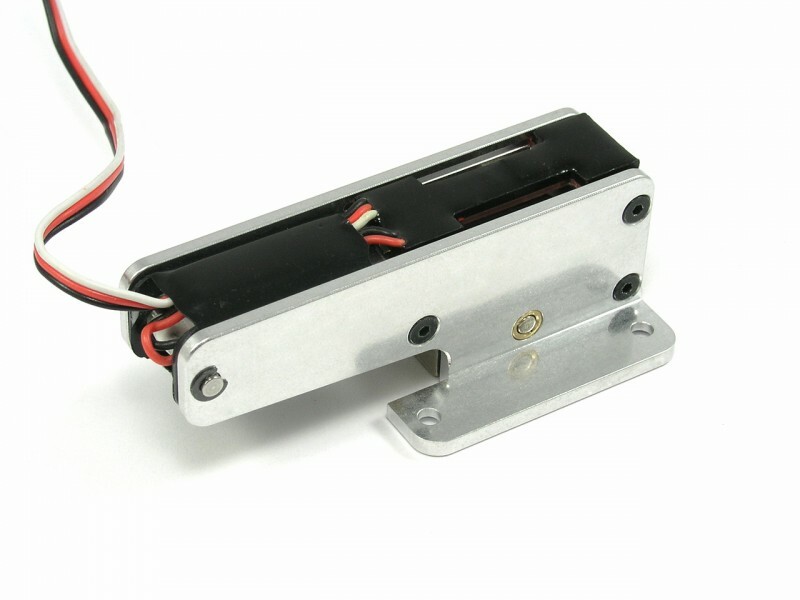 This new version will NOT work with our aluminum side plates. Please contact us with any questions before purchasing. Retracts that are included in the complete model may still be the original RE003 version. Please verify they look identical to the ones in our photos before purchasing. 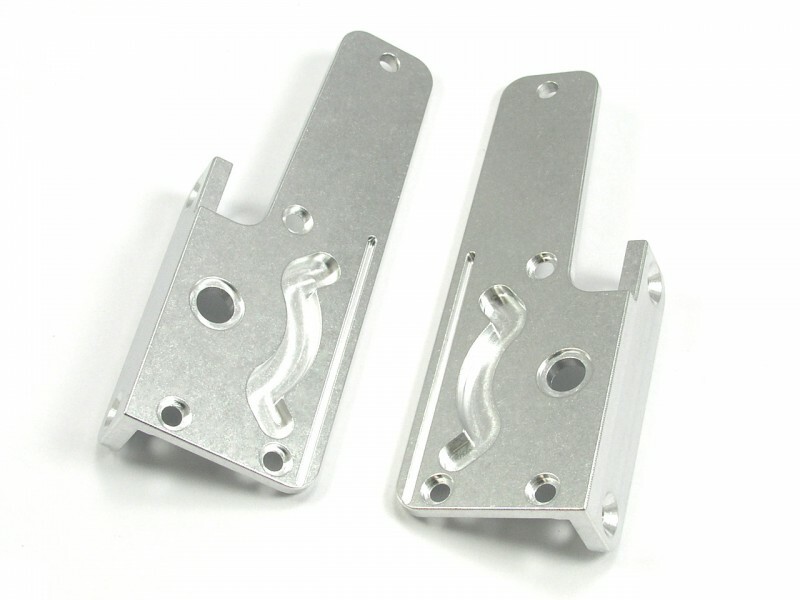 Our FMS 1400 Retract Upgrade Kit is CNC machined from billet aluminum. These aluminum sides are designed as an upgrade for the FMS Servoless E-Retract for 1400mm Planes (Part# RE003) Pre March 2018 (if purchased as a replacement). They are a 100% bolt on replacement for the stock plastic sides. No more worries of cracking or breaking during hard landings. This upgrade kit will work with both the older style retract that utilizes a brass bushing for the trunnion, and the newer style retract without the brass bushing. These are a perfect match with our FMS 1400 / 1450 Trunnion Kit. Installation is quick and simple. All original hardware and spacers are to be used with these new aluminum sides. Remove the 3 screws and e-clip from each side of original retract. 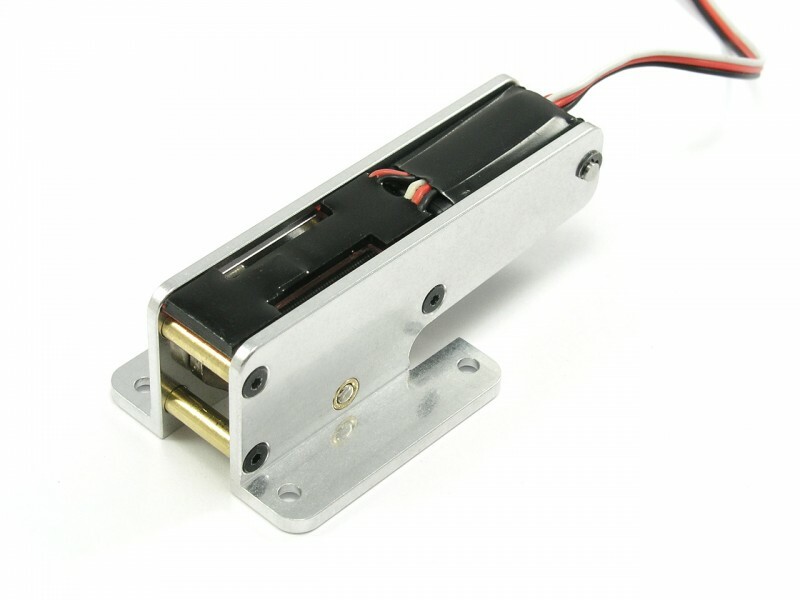 Remove plastic sides paying attention how motor, trunnion, and PCB board are positioned. Install aluminum sides in reverse order using all original hardware. 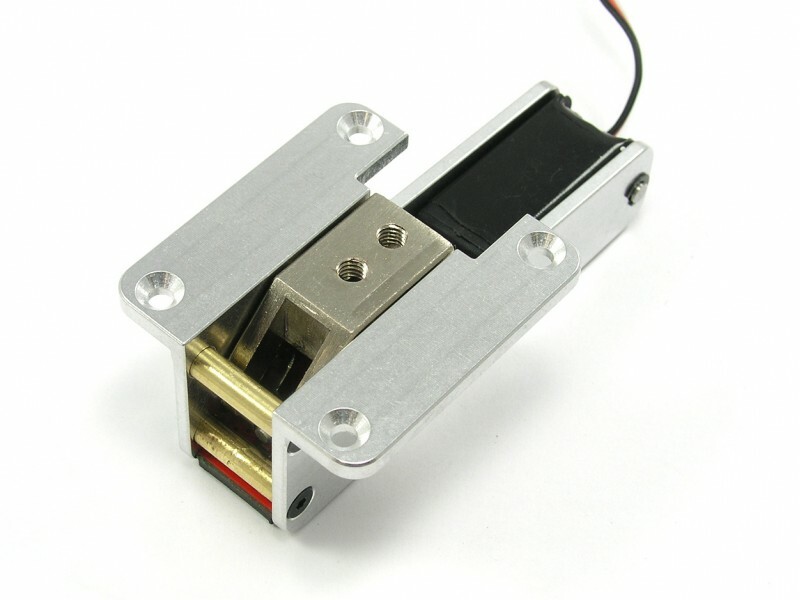 - Each kit comes with two aluminum sides which is enough to upgrade a single retract. 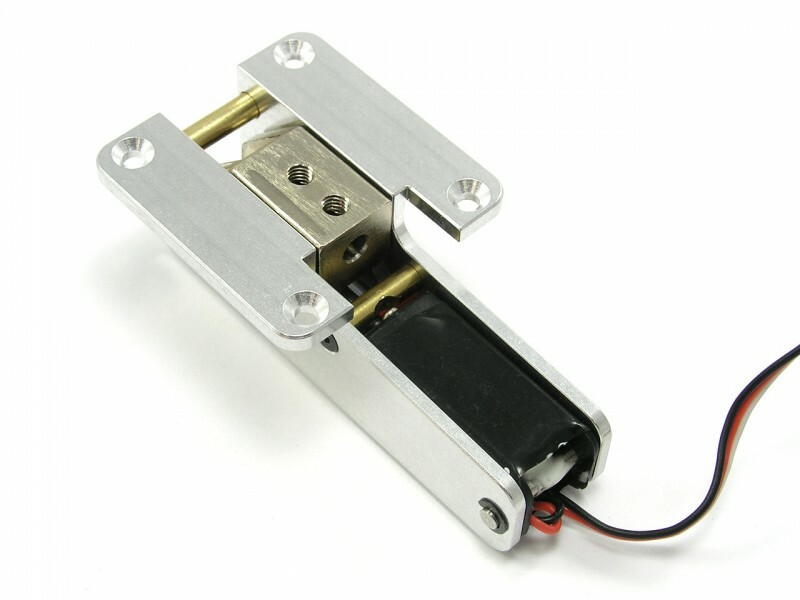 Two kits are necessary to upgrade both retracts of a model. - We recommend using the new supplied E-Clips and keeping the original ones as spares. - FMS Servoless Retract NOT INCLUDED.